Our core values keep us passionately committed to the very best. 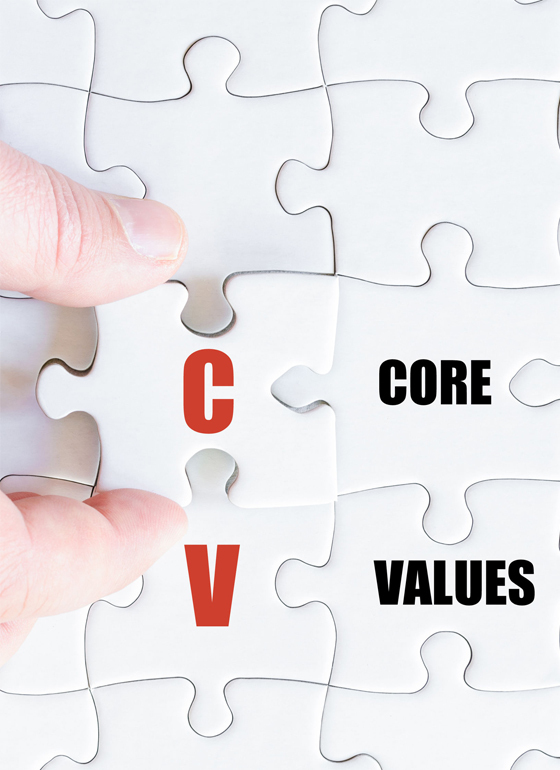 Our core values keep us passionately committed to the very best. 1.) Teamwork – We are One Big Team. Our “Can Do” spirit delivers top performance as we encourage collaboration, open communication, celebrate success and build and nurture long standing partnerships and relationships. 2.) Respect – Always respect one another, the rules that govern our activities and the systems that make up our organization. 3.) Integrity – Ethical and trustworthy in our relationships. Ability to stand up for what is morally right and to fulfill commitments and promises. 4.) Vision – Embracing change and remaining flexible in the interest of enabling healthy growth. Demonstrate belief in a culture that values vision, with a clear view of our purpose and our objectives. 5.) Excellence – Being superior in our industry in performance, product and output. 6.) Servant Leadership – Serving others more than yourself is the number one priority in our business. A holistic approach to work, promoting a sense of community and the sharing of power in decision-making. The best leaders are givers, not takers. 7.) Trust – Based on reliability, solvency, honest treatment and respect for people. 8.) Accountability – We are accountable for our actions. We are a good neighbor and citizen in the communities where we operate.